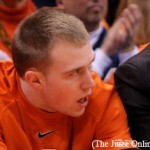 HomeBasketballWill Trevor Cooney really continue improving in his final two years at Syracuse? 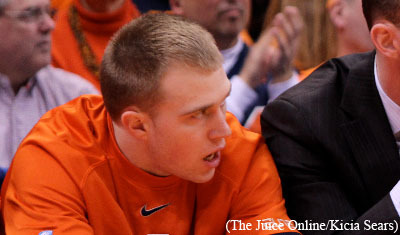 Will Trevor Cooney really continue improving in his final two years at Syracuse? The basic premise of the article was that Cooney would become a more consistent and reliable shooter in his next two seasons based on the past track records of Demetris Nichols, Andy Rautins and James Southerland. The trio were the last three players recruited as “sharpshooters” and all three wound up playing in the NBA despite not being NBA-level prospects when they arrived at Syracuse. Cooney played a lot more as a sophomore than any of the other three. However, I disagree with his conclusion. While minutes correlate with overall production for obvious reasons, they don’t correlate with improving the shooting percentage. Nichols, for example, played just one more minute per game as a senior than as a junior, but increased his 3-point percentage by more than 5 percent while shooting a higher volume. Same goes for Rautins, who increased MPG by just 4 but increased 3-point percentage by 4 percent from junior to senior year (although slightly lower volume). The point is that you can expect Cooney to improve his shooting because he’ll get more practice. Whether his percentage tracks with the 3 other players will depend on a lot of other factors, such as his volume and the type of shots he gets. McNamara had a bad 3pt% because he was a really high volume shooter and would shoot from all sorts of weird angles because he was often the only offensive threat. Cooney’s shot selection this year was much more in the mold of McNamara’s than any of the other three, so I’d say it remains to be seen what will happen. Regardless, unless he pulls a Chuck Knoblauch, it’s a safe assumption that he will improve. Jeff, I think you make an excellent comparison. 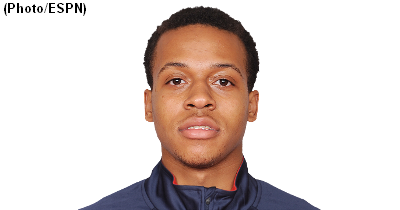 I agree he is more of a McNamara than the others in large part because of his shot selection. My question then becomes, is he capable of shouldering a load on offense like Gerry did? Will high volume shooting help him and the team? As you said, Gerry needed to shoot as often as possible. Does that hold true for Cooney? He struggled as the third option on the team once teams started taking away the clean looks for him. Nichols and Southerland were able to shoot over defenders because of their height, so they were able to improve with practice. Cooney doesn’t have the same luxury, and thus relies on those weird angles as you mentioned. Unless you think his ability to knock down the tough shots will improve, I don’t see how we can believe his percentages will. Syracuse is not a team that moves the ball particularly swiftly to get its perimeter guys open looks. The only Orange player who got consistently open looks this year from the perimeter was CJ Fair, mostly because other teams were giving him that shot. So, assuming Cooney will need to work even harder for his shot as a primary weapon for the offense, I don’t think he will make them at a higher rate than he did this year. I do think Cooney improved far more than I thought he would between freshman and sophomore years. 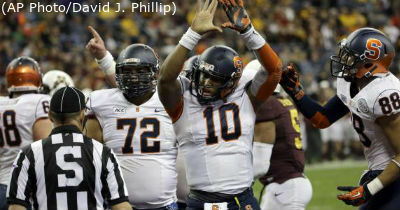 I didn’t think he deserved to be on the floor much at all in the 2012-13 season, and this year, he was a capable guard. Shooting percentages are the “easiest” thing to improve in basketball. It is about repetition, getting up shots, and staying in the gym and working on it. Many, many people can show marked improvement in their shot over time. Fair is a good example of that on the 2013-14 team, as well as many others. The Cooney-McNamara comparison is good in terms of stature and shot selection. McNamara had the ball in his hands much more than Cooney will. And, McNamara had that innate ability to take over a game and be a go-to scorer way more than Cooney has (and ever will have, in my opinion). Cooney is more James Southerland in that regard than McNamara, Nichols, or even Rautins. When McNamara or Rautins put up a shot, I was certain it was going in every time. When Cooney shoots, I’m like, “well, I hope this one goes down.” He doesn’t give me that same confidence level as the other shooters Syracuse has had recently. Overall, I don’t see Cooney ever being more than a third option on offense. And, that is fine. He is capable of putting up 12-15 points a game. I think the biggest flaw of this year’s team was that he was the only threat from deep. Only having to guard one guy outside of the 3-point line on a consistent basis makes it easier on the defense and much harder on Cooney. Getting a second or third deep threat on the floor creates a lot more spacing and allows for more open looks. I think that could be the biggest key in seeing Cooney’s percentages rise because that will allow for cleaner looks. Unfortunately, I don’t see Cooney getting any help next season.